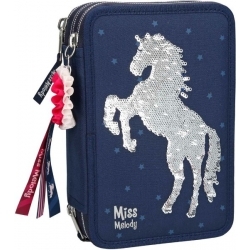 The Miss Melody Triple Filled Pencil Case is a sparkling stationery essential. This pencil case features a Horse Miss Melody in sequin blue/silver design on a navy background. 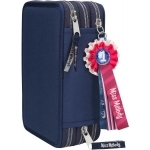 The main body of this pencil case is made from navy fabric. The case featuring 3 zipped compartments filled with stationery making it functional as well as glamourous. 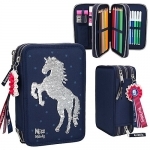 The first compartment includes a coin pouch, a pair of scissors, a dual pencil sharpener, a rubber, a gluestick, a jumbo and a regular HB penciland a 15cm ruler. 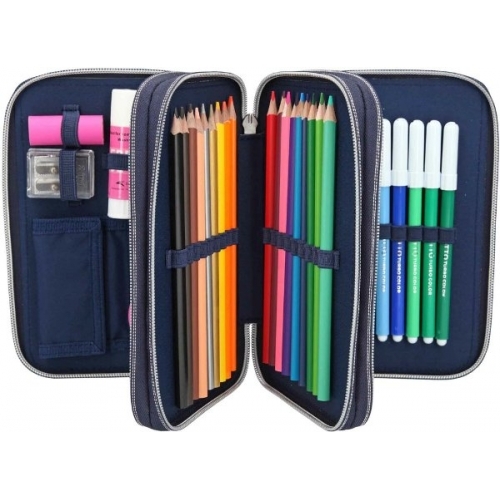 The central compartment includes 18 coloured pencils, and the third compartment includes 18 felt tip pens. 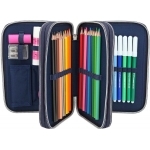 This Depesche pencil case measures approx. 20 x 13.5 x 6.8cm. 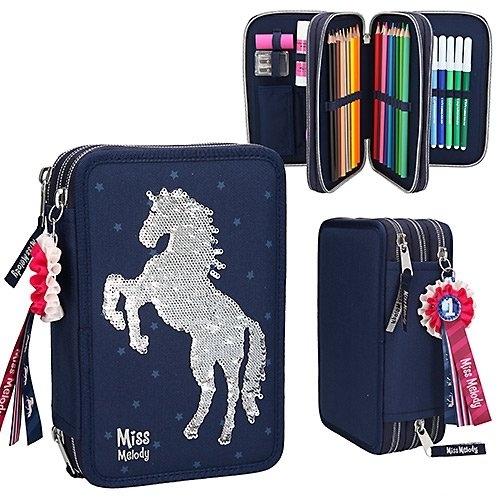 A great gift for fashionable, creative girls.